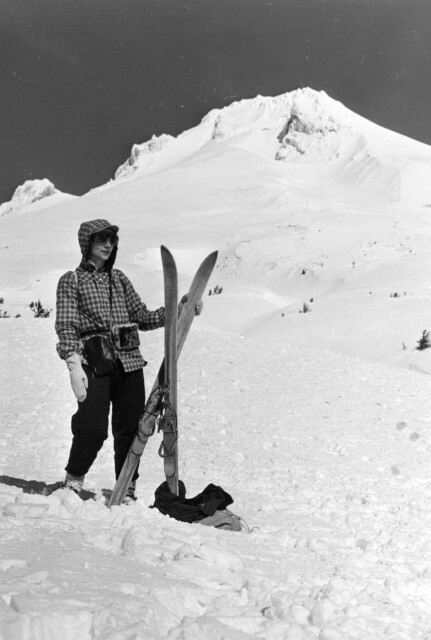 From the moment the sport of skiing was invented, people have been adding their own style. And while skiers in the 1800s rocked wool knickers and sweaters, today’s skiers and riders wear a much more...diverse wardrobe. Let’s start at the beginning. Downhill or Alpine Skiing as we know it was born out of the Nordic Skiing tradition. Much of the advancement in technique and gear came from the military. So it’s not surprising that early ski apparel had a paramilitary style. Heavy wool jackets and knickers were the choice for most. Notice in the picture below that this lady is wearing military style spats/gaiters and a military cap. 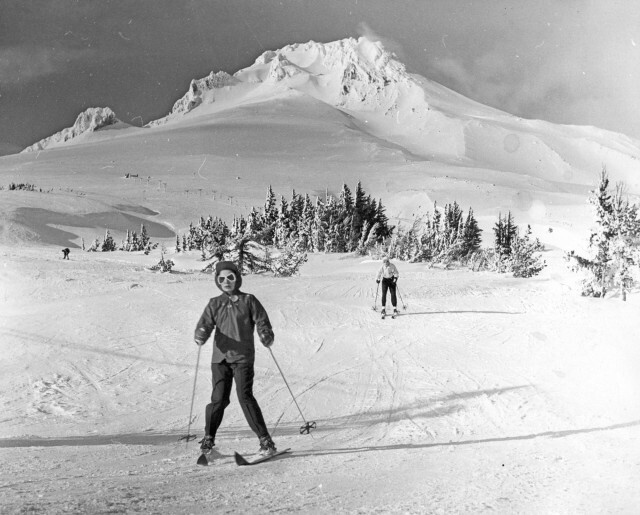 In the 1930s and 40s recreational skiing began to drive its own style. The apparel was very formal by today’s standards. 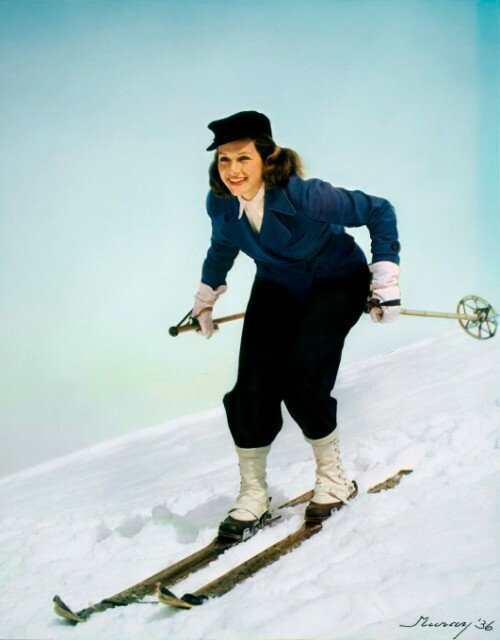 But as things progressed, skiers started caring more about skiing than attending business meetings at Wool, Inc. Someone (probably working at 3M) began developing synthetic fibers, the early standout being polyester. After this, ski wear was never the same. Bold colors, shiny fabrics, printed patterns, and form-fitting body suits exploded onto the scene. Of course, the 70s and 80s brought on nightmarishly unique styles. The bright primary colors of the 60s/70s gave way to a new color palette: NEON. Neon streamed down the mountain slopes like spring runoff. 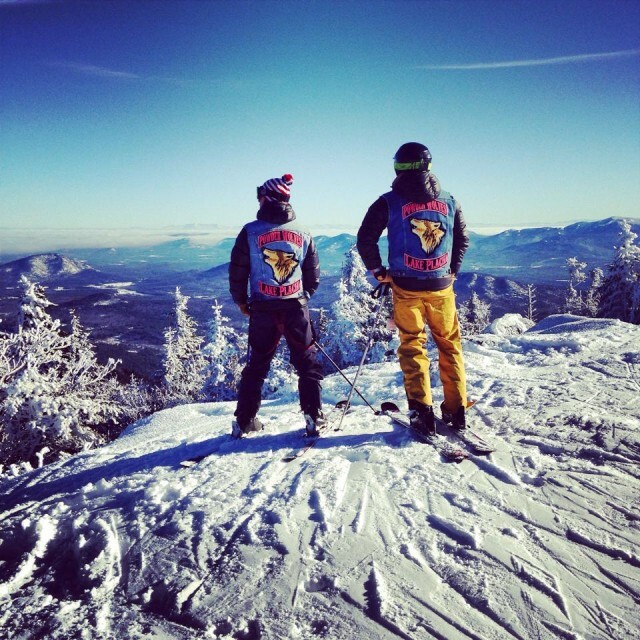 Attending Whiteface Mountain’s Retro Sunday (April 5, 2015) will give you a good idea of the wonders of this era. 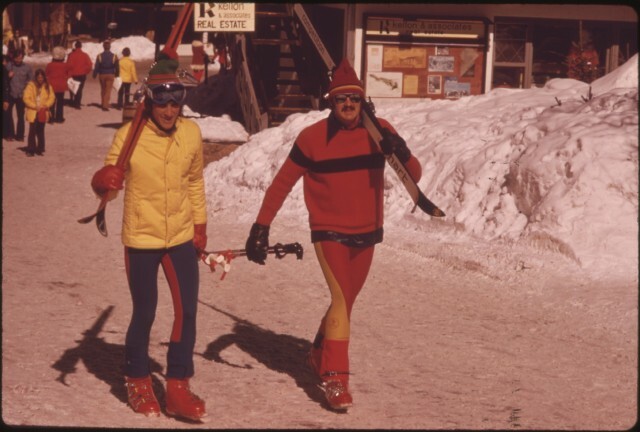 Many people who study that sort of thing point to the years between 1970 and 1990 as the golden era of ski style. Author’s Note: It’s really awkward to go up to people and ask to take their picture. Really, really, awkward. It was a race day at Whiteface, so that afforded me the opportunity to capture the ski racer in its natural habitat. For the ski racer, it’s all about speed. Hot, nasty speed. They don’t have time for baggy pants or keeping their car keys in pockets. These guys told me that they only wear these getups when they are racing, but I don’t believe them. This ski style has one key element: The Beard. To see the Bearded Wonder is a sight to behold, especially if there’s powder around. It’s easy to see how long he’s been out that day based on the amount of ice built up on his face quilt. The entire ensemble is designed to point to The Beard. The jacket collar must allow for The Beard to have complete freedom of movement. Face masks are out of the question. Most skiers fall into this category. They live for skiing, not fashion. Function is key. If it keeps you warm and keeps you skiing, that’s good enough for them. I should note that this does not mean that they look bad. Just that their form follows function. Snowboarders appeared en masse (sic) in the 90s and early 2000s. Love ‘em or hate ‘em, they have a style all their own. Typically a bit baggier than their two-planked relatives, the average snowboarder is dressed for style and comfort. I assured them that it was also because they were still holding the short skis from their Parallel From the Start lesson. And because they were wearing all black. This skier/rider is there to have fun, no matter what. Helmet strap broken? Zip tie! Holes in the jacket? Duct tape! By hook or by crook, they’re ready to hit the slopes. I found a great example in the locker room. 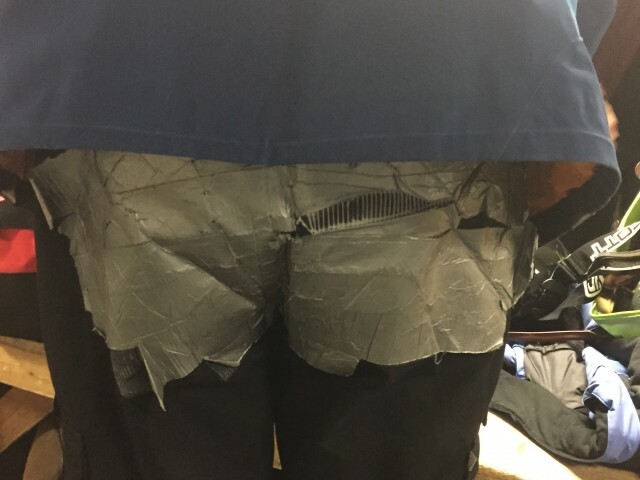 The seat of his pants had ripped, but it wasn’t anything that a little bit of duct tape couldn’t fix! But here’s the real deal when it comes to ski fashion: It doesn’t matter. What matters is that you get out there and have fun. 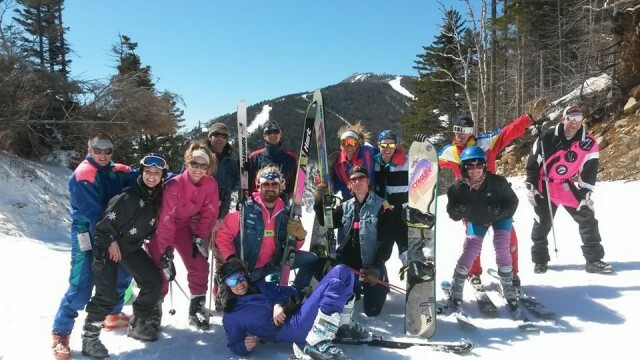 Whether you’re old school, new school, a gromer, gaper, or geezer...GET TO THE MOUNTAIN! Check out all the awesome upcoming Whiteface events - from live music to pond skimming, retro-day to chamber day, there's something that's sure to catch your fancy. Visiting for the first time? Check out these local lodging and great dining options, pack your neon and we'll see you on the hill.